To make color separations, the three additive colors (red, green, and blue) are translated into their subtractive counterparts (cyan, magenta, and yellow). In theory, equal parts of cyan, magenta, and yellow combine to subtract all light reflected from the paper and create black. Due to impurities present in all printing inks, however, a mix of these colors instead yields a muddy brown. 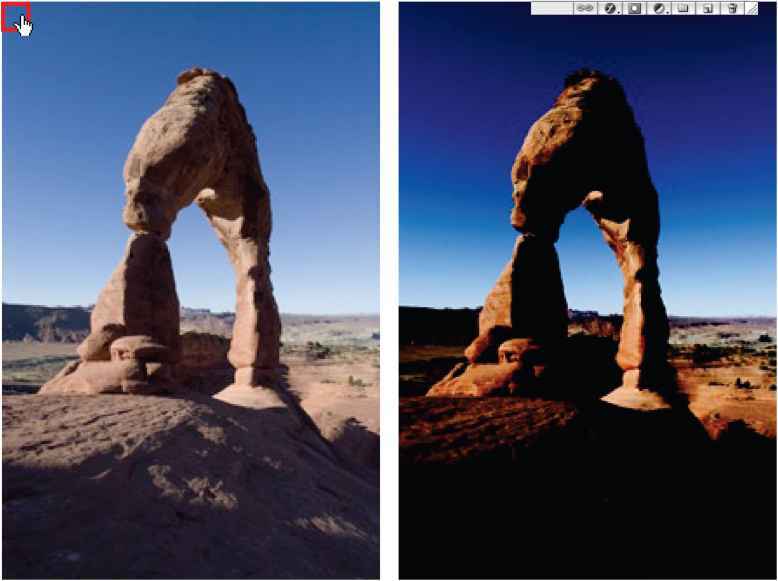 To compensate for this deficiency in the color separation process, printers remove some cyan, magenta, and yellow in areas where the three colors exist in equal amounts, and they add black ink. • In undercolor removal (UCR), black ink is used to replace cyan, magenta, and yellow ink in neutral areas only (that is, areas with equal amounts of cyan, magenta, and yellow). This results in less ink and greater depth in shadows. Because it uses less ink, UCR is used for newsprint and uncoated stock, which generally have greater dot gain than coated stock. • In gray component replacement (GCR), black ink is used to replace portions of cyan, magenta, and yellow ink in colored areas as well as in neutral areas. GCR separations tend to reproduce dark, saturated colors somewhat better than UCR separations do and maintain gray balance better on press. Choose the type of separation based on your paper stock and the requirements of your print shop.